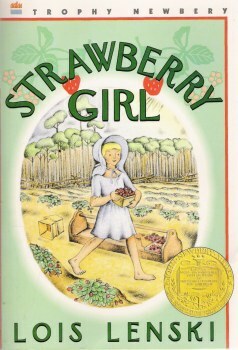 In the foreword to Strawberry Girl (Harper Trophy, 1973), author Lois Lenski writes, “Few people realize how new Florida is. 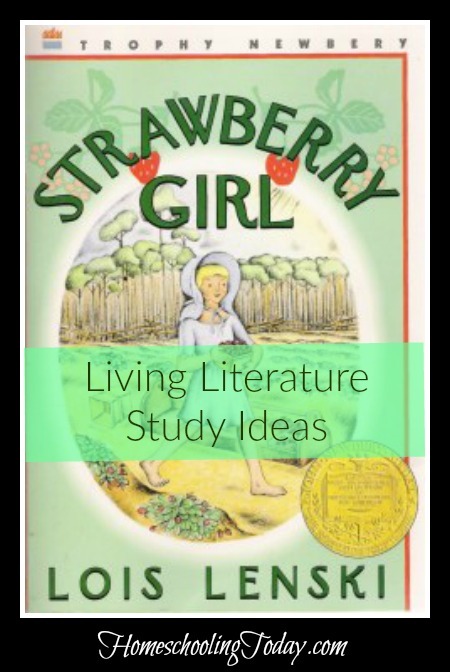 . . .” Strawberry Girl is Lenski’s attempt to bring to life the little-known history of pioneer living during the early 1900s. It is a delightful story that chronicles the struggles and achievements of a Floridian pioneer family during that period. The story, historical foundation, dialogue, characters, and illustrations combine to create a timeless tale everyone will enjoy. The Boyer family relocates to the backwoods of Florida and plans to begin farming strawberries. Their new neighbors, the Slaters, resent the Boyers and conspire to stir up trouble. Soon a feud erupts between the two families. The simple compassion of one woman ultimately saves both families from the looming hatred and destruction. Set against the backdrop of boiling trouble, Lenski paints a picture ofFloridabackwoods life with tales of frontier schools, social gatherings, and neighborly kindness. 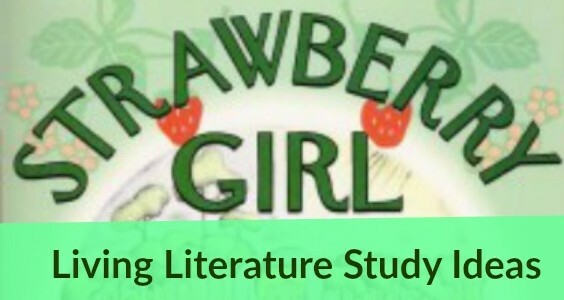 Strawberry Girl contains a number of lessons for readers of all ages. The hard work and perseverance shown by the Boyer family as they struggle to carve out a living in the wild land of Florida is inspirational. The integrity of Mr. Boyer stands in sharp contrast to the slovenly manners of Mr. Slater. The Boyer family presents a picture of family unity and love, even as they fight against difficulties in their new home. The characters of Lenski’s tale are particularly striking. Portrayed from real life, the individuals in Lenski’s book provide the readers with a fascinating picture of the Florida frontier. The compassionate integrity of Mr. and Mrs. Boyer and Miss Libby stands in contrast to the destructive and lazy tendencies of Mr. Slater. The kind and forthright Birdie Boyer provides the sneaky and frightened Shoestring Slater with a positive influence. Lenski’s writing style is charming. She weaves her descriptions of the landscape and life of the Florida backwoods into an exciting plot. Her beautiful illustrations, drawn with simplicity and grace, are an additional asset to the book. The foreword provides fascinating historical background information. Research as a family the history of Florida during the late nineteenth and early twentieth century. Visit a nearby fruit farm and learn about the planting, farming, and harvesting processes unique to that particular crop. Nurture a few strawberry cuttings on your back patio or in a flowerbed; these plants grow well, even in small areas. Spend an afternoon making taffy together. Why did the Boyer family move to the area? What is the most striking characteristic of the Boyer family? What is the most striking characteristic of the Slater family? Why did Mrs. Boyer sprinkle flour onto the strawberry plants? How did Shoestring’s character change over the course of the book? Emily Adams is a homeschool graduate. She received her B.A. in English fromBelhavenCollegein 2007. She currently teaches Latin, literature, and writing classes online and is also a freelance writer. She lives with her family nearFort Wayne,Indiana. I’m looking forward to reading and studying this with my children. Thank you.